Besides Ravi and Leo being their intense best there was something that really resonated with me in this video. The song is about breaking up. For whatever reason, the boy believes its better for the girl’s happiness if she leaves him. The song implies their relationship hasn’t been the healthiest. In either case, Leo and Ravi play the same person but reflect the different feelings of said person in a breakup. Leo is the half that knows its time to say goodbye and Ravi is the half who never wants to let her go. 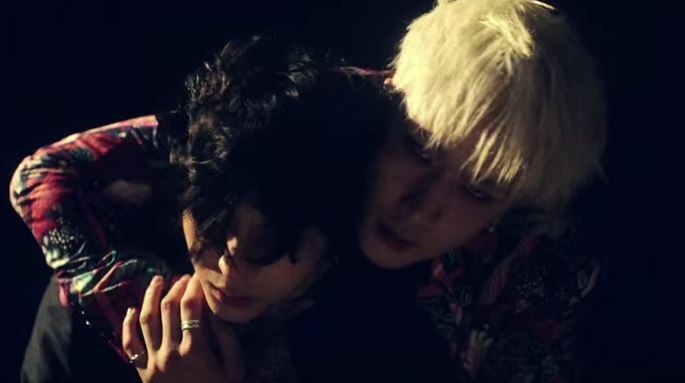 At the end of the video you see Ravi try to stop the girl from leaving and Leo physically holding him back. They fight and struggle between their feelings until eventually they reconcile together that she has to go. Anyone who has been in a long committed relationship that ended will know exactly how that feels. Even an intense crush can leave you feeling like you’ve split down the middle. It can feel like you’re going crazy. You know you have to say goodbye but your heart doesn’t want to let go. You’ve invested a lot of time and emotion into another person and it takes time to truly separate yourself. I thought the director brilliant filmed that disconnect between your head and your heart that each of us find ourselves in when a relationship ends. Your head knows you can’t keep going on but your heart keeps yearning and aching. It is a literal fight and it can leave you exhausted and battered. Brilliantly done boys. Good job.